ThIs Cane Seat - Folding Walking Stick & Seat Is Cleverly Designed To Provide A Person With Support When Walking, As A Standard Walking Stick, But Can Also Be Folded Down To Form A Sturdy Seat. Seat Suitable For Temporary Use When The Person Needs A rEst. Ideal To Use When Out And About, I.E. Shopping Trips, Sightseeing Etc. Features: Weight: About 1.1 kg. 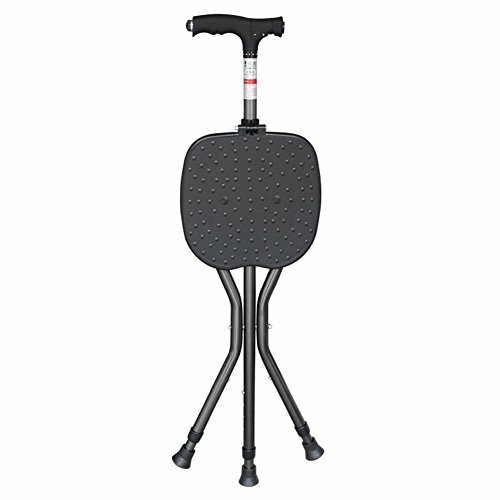 Seat stick height: About 85-95cm, Folding seat height: 47-58 cm. Maximum user weight: About 100 kg. If you have any questions about this product by Wkkie, contact us by completing and submitting the form below. If you are looking for a specif part number, please include it with your message.